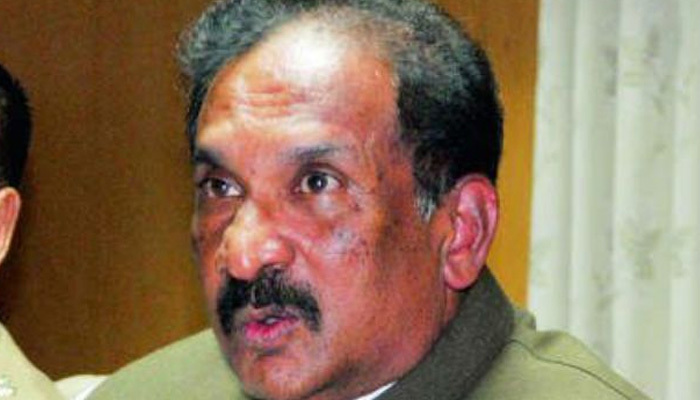 The inglorious political career of Kelachandra Joseph George (65) which started in Kodagu district over four decades ago, finally ended in his home district on Monday after a Madikeri court ordered filing of FIR against him in connection with the alleged suicide of Dy SP M.K. Ganapathi. The Congress-led Siddaramaiah government which used every dirty trick in its bag to save George, said to be the main fund-raiser in Karnataka for the Sonia Gandhi-led Congress party, had to bow before the court order. Additional Judicial Magistrate Annapurneshwari ordered Madikeri police to file the FIR against George, Additional Director General of Police (Intelligence) A.M. Prasad and Lokayukta Inspector General of Police Pranob Mohanty on a private complaint filed by Ganapathi’s elder son Nehal. Nehal’s counsel M T Nanaiah said investigating officers would have to question George and the two police officers named by Ganapathi in a television interview, and take a call on whether to arrest them or not depending on their probe. In Bengaluru, chief minister Siddaramaiah convened an emergency Cabinet meeting to decide on George’s resignation following the court verdict. Addressing reporters, George said he was quitting to make way for an impartial probe. He expressed confidence that he would “come out clean”, and stated that he would explore the legal options before him. Leader of the Opposition Jagadish Shettar said an impartial investigation could not be conducted as long as George was still a minister. He also said the two police officers named in the complaint should be suspended to ensure a fair investigation. “Along with George’s resignation, a CBI probe is required. Our fight will continue,” Yeddyurappa said after leading the march to Raj Bhavan which came soon after the sudden end to the monsoon session of the state legislature. George studied at Ponnampet high school in Kodagu and later joined the timber business in which the family made a huge fortune. “It was a rags to riches story”, a person familiar with George said at Gonikoppal town in Kodagu.